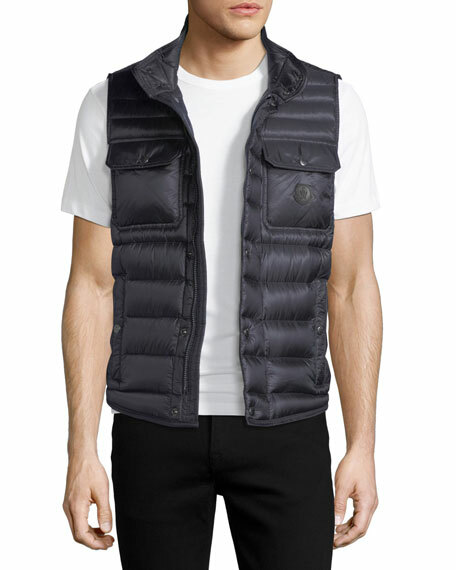 Moncler "Ever" vest in quilted technical fabric. 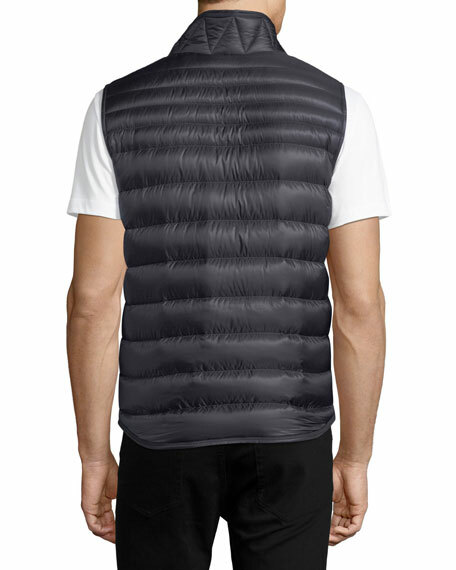 Stand collar with two-snap closure. 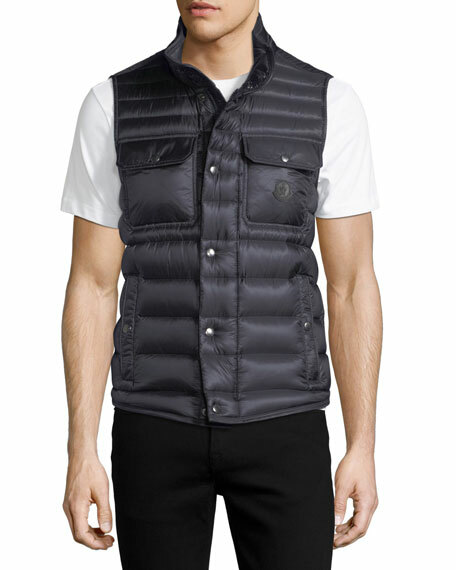 Zip front with snap-over placket. Leather logo patch at left. For in-store inquiries, use sku #2270331.